يقع فندق Bali Hi Motel، المصمم ليناسب كل الضيوف سواء كانوا من رجال الأعمال أو السياح، في مكان ممتاز في أحد أكثر المناطق تفضيلاً في Tuncurry. يحظى هذا الفندق ذو 3.5 نجمات بمكان ممتاز يسمح بالوصول إلى المعالم السياحية الأكبر في المدينة، فهو يبعد مسافة 1.5 km عن صخب المدينة. يوفر الفندق بفضل موقعة الجيد وصولاً سهلاً إلى أهم معالم المدينة.
. إن الخدمات التي يقدمها Bali Hi Motel تضمن للنزلاء إقامة مريحة. يقدم هذا الفندق العديد من الخدمات الكفيلة بإرضاء أكثر الضيوف تطلباً. استمتع بوسائل الراحة الراقية في الغرف أثناء إقامتك هنا. بعض الغرف تتضمن تلفزيون بشاشة مسطحة, اتصال لاسلكي بالإنترنت, اتصال لاسلكي بشبكة الإنترنت (مجاني), غرف لغير المدخنين, مكيف هواء لمساعدتك على استعادة طاقتك بعد يوم طويل. سواء كنت من محبي الرياضة أو كنت تتطلع لتفريغ عناء نهار صعب، ستجد خدمات ذات مستوى عالي بانتظارك كمثل مسار جولف - ضمن 3 كم, حمام سباحة خارجي, حديقة. إن Bali Hi Motel هو مكان مثالي للمسافرين الذين يتطلعون إلى الراحة والاستجمام في فروستر. This hotel room was nice and clean. The room is exactly as pictured. It is nicely renovated. Our queen size bed was comfortable. Amazingly, our daughter's single size bed was also a proper comfortable bed, not just a fold-out one. Even though the hotel is situated on a busy street, it is quiet at night time. There was one little issue - there is an unpleasant smell coming from the drain in the bathroom. We had to keep the bathroom door shut to keep the smell out of the whole room. The staff were friendly. It was great value for money and we would definitely stay here again. Thanks Trevor, Tuncurry is a very pretty area to be. Thanks Shadi, see you next time you are working up this way. Thanks Colin for your great review. Our investment in Wi-Fi equipment has been good. All guests have commented positively about connection speeds. Speed Tests show 45-50 Mbps download and 15-18 Mbps upload. Thanks Karen. Tuncurry is a very pretty part of the Great Lakes. The hotel was spotless and close to everything. The owners where so friendly and they cook an awesome breakfast and bring it to your room . 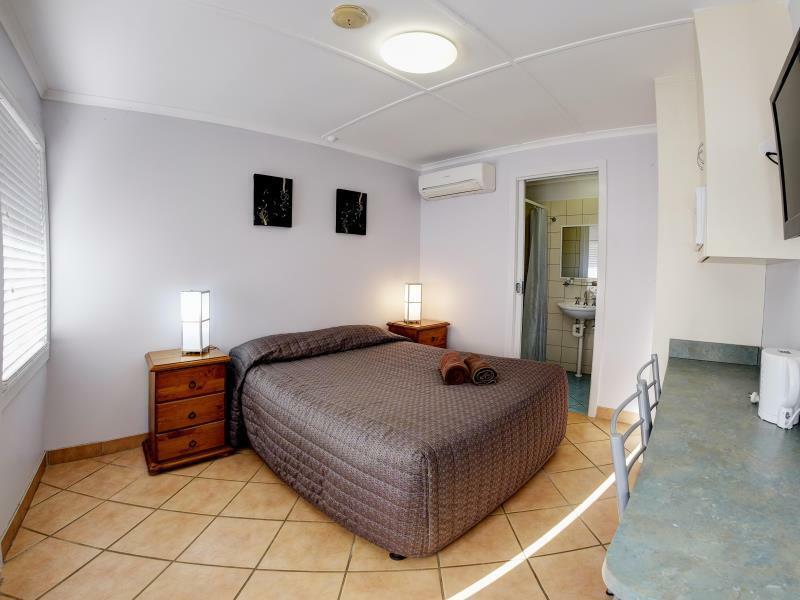 The rooms are very basic but comfortable and the bed was really comfortable. I’ll be staying there again for sure. Nice and clean and very friendly staff. Perfect for the overnight or short stay. Thanks Linda for your great review. All in all,, a delightful motel. Thanks Robert for your kind review. The place was nice, but the showers were luke-warm and when we complained, they said it was a budget motel and that is how it is, which we felt was very poor service. When the fridge failed as well, they didn't offer to replace our unfrozen food, so we wouldn't go there again. Hi Theresa thanks for your review. The not so positive reviews can help us highlight any improvements needed. Firstly you complained that the food near the freezer compartment was freezing?, and you had to move it away. You then complained that the fridge was now leaking, we found you had turned it off at the wall!! Your next complaint was the air was cold when you got out of the shower. The fact it is winter and you had not turned on the heated air -conditioner was highlighted to you. No comments were received about replacing unfrozen food at all. 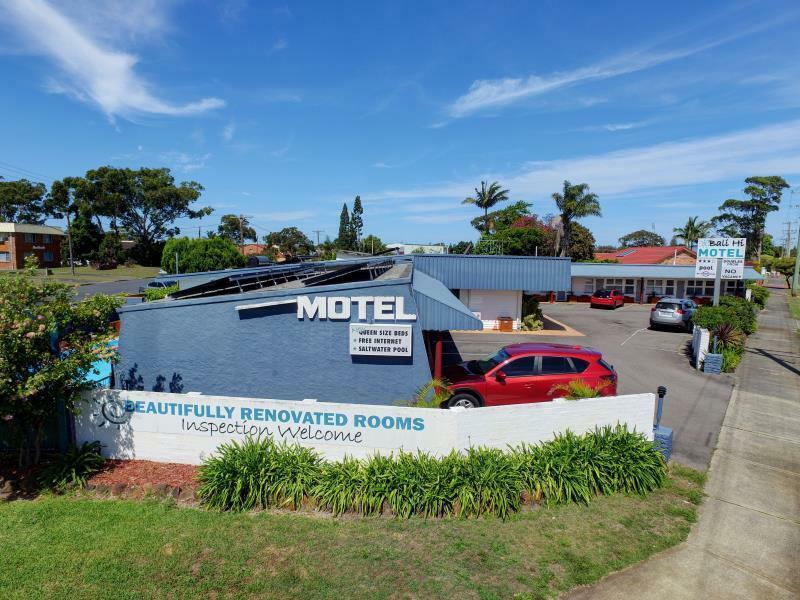 Your requests for a High-floor and Ocean-views indicated to us that you have not looked at the motel website, and purely booked on price [ $33 per person is value for money ] We have checked all hot water equipment and measured the water temperature. We found it to be .5 of a degree below the Australian Standard water temperature range. We are making enquiries to improve this. On check-out you indicated you had a comfortable stay. Clean comfortable and serviced daily. Gave me a great 3 night stay. Good value for money! 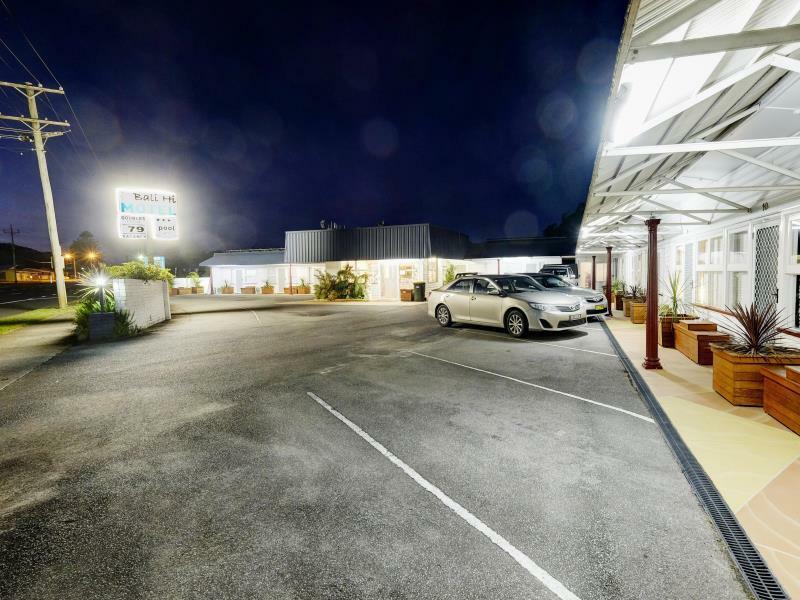 It's a great small motel with 12 rooms, a nice pool and great staff. Pros - very clean, flexible check in, great facilities, comfy bed with new linen Cons - small room, cigarette smell outside the rooms when ppl smoke on the balcony. Thanks Anna, we are constantly reviewing the smoking areas. Great facilities, helpful staff and excellent location. Clean and comfortable. Great value for money. Convenient location, enough parking for all rooms, pool, spacious bathroom. 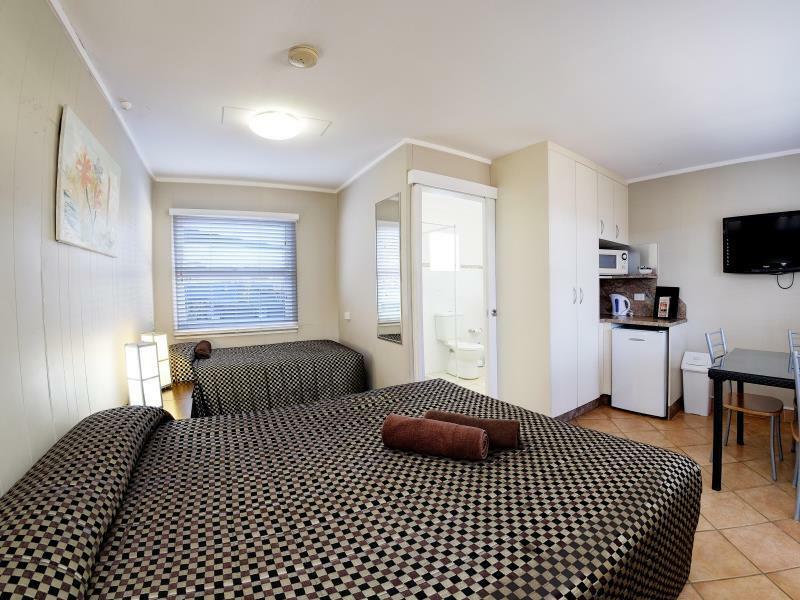 Downsides: the blinds over the windows let in light on the sides, curtains would probably work better, the second (single) bed was tucked in the corner so if you were sitting in that bed you couldn't see the TV, tiled floor makes the room a bit colder than it needs to be. Thanks Mathew, we have addressed the blinds issue and don't expect any more light issues. I was at a Conference elsewhere all day & evening, but my wife spent most of that time in the Motel, and was made to feel very welcome. I didn't arrive at the room until 10pm, but I felt instantly at home. My wife & I slept very well, and we awoke refreshed in the morning. I then enjoyed swimming in the pool before packing the car and chatting to the owners Rod & Debbie, who are really lovely people. 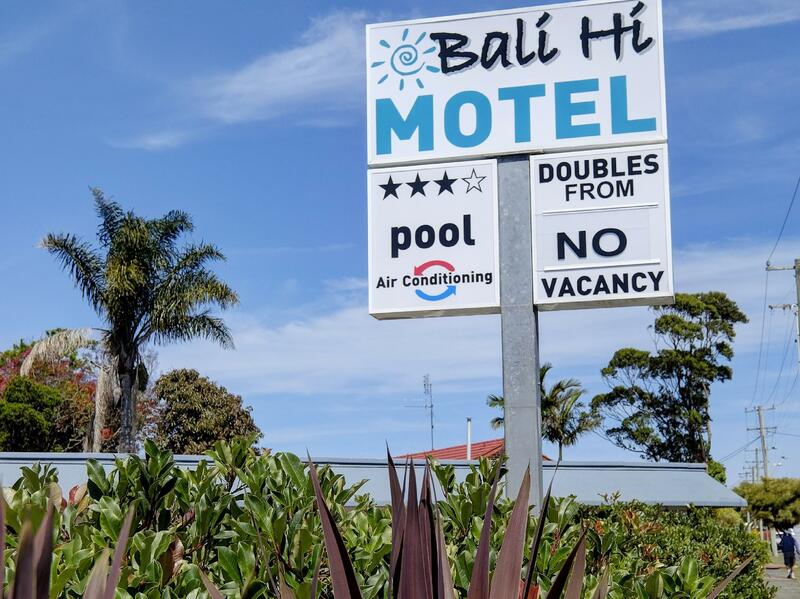 My wife & I then drove home vowing to stay in the Bali Hi Motel whenever we re-visit the Forster/Tuncurry area.